Total Driving Distance - 13 Miles. Total Driving Time - 24 Minutes. Though it sometimes feels like a desert, Utah Valley has some beautiful water attractions. 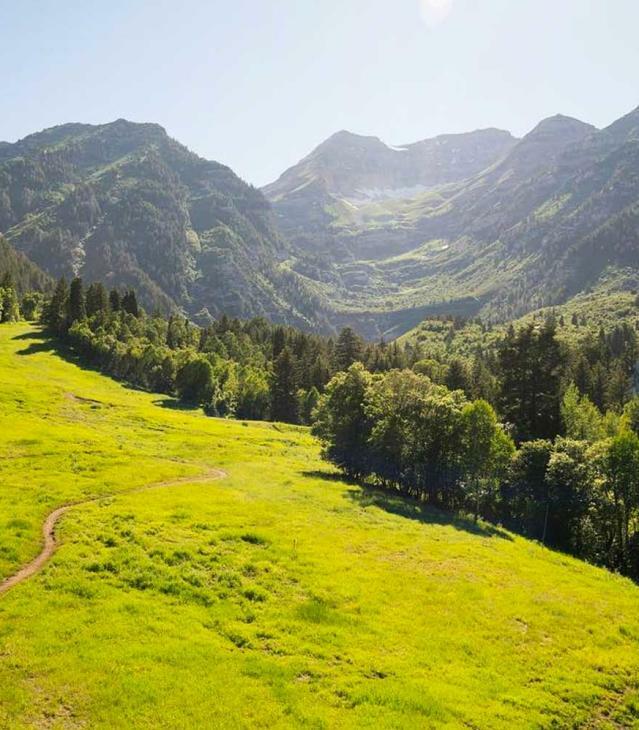 The Provo River runs across the county, giving you plenty of things to see along its course. 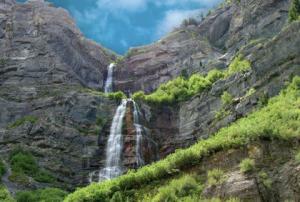 Bridal Veil Falls (Provo Canyon Rd) - This family friendly hike can be modified to suit your interests. If you just want to catch a good glimpse of the falls, you barely need to step out of the car. The paved trail will take you up to the bottom of falls, offering a great view. The middle of the falls, where the "Veil" ends, is accessible via an easy, 10 minute hike that is suitable for even small children. A more advanced climb using existing ropes can take you to the upper falls. During the winter, ice climbers will often scale the frozen water that makes up the falls. Near the parking lot, there is a pond stocked with rainbow trout that you can feed, as well as large grassy picnic areas. 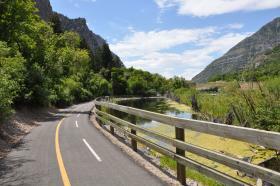 Provo River Trail - The Provo River Trail starts north of Bridal Veil Falls at Vivian Park in the Provo Canyon, and then follows the river all the way to Utah Lake. The Parkway makes for a great walk, as it passes through many beautiful state, city, and county parks, on its 15 mile path. You can walk, jog, or bike any part of the trail, or enjoy the many opportunities the river itself affords. Stretches in the canyon are very popular for rafting, canoeing, and fly fishing. Utah Lake State Park (4400 W Center St Provo Ut 84061) - Utah&apos;s largest freshwater lake has incredible fishing, boating, birding, hiking, canoeing, and many other recreational options. 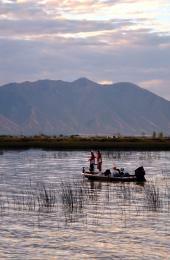 Because it is very shallow, Utah Lake has the warmest water of any major lake in the state. If you make the drive up to Pleasant Grove, TK Watersports (13 miles, 22 minutes from Utah Lake State Park, or 9 miles, 18 minutes from Bridal Veil) has motorboats for rent and charters with professional drivers and instructors to handle all the challenges of boating for you. They also include free launch and retrieval of all rental boats. The state park features sites for camping and hunting as well. The visitor&apos;s center offers a unique look at the history of lake area, featuring fish, Indian artifacts and historic photos. The park also has ample grassy areas with places for picnics, volleyball, or just letting the kids run around on the playground area.